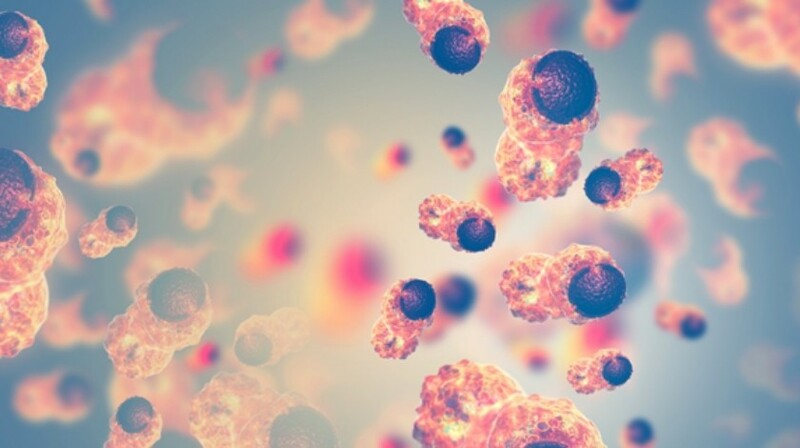 Results of a study, recently presented at the European Lung Cancer Congress (ELCC, 10–13 April 2019, Geneva, Spain), have shown that maintenance immunotherapy offers no improvement of survival for patients with extensive-stage small cell lung cancer (SCLC). By the time SCLC is diagnosed it is often already in the late stage, with around 60—70% of patients with cancer already spread beyond a single lung. At this stage patients can no longer be treated with radiotherapy and, though most respond to chemotherapy, response time is usually brief, and relapse occurs within a short timeframe. Currently, the standard approach is to wait until the tumor has grown back before beginning further treatment, the recent study questioned this approach and investigated whether intervening earlier and giving maintenance immunotherapy following successful chemotherapy would help to improve survival rates. The study involved 834 patients, all with extensive-stage SCLC that had not progressed following four chemotherapy cycles. They were each treated for 2 years or until cancer progression, death or high toxicity. Unfortunately, the results did not support the original hypothesis, with no significant change in overall survival shown by giving combination immunotherapy or by giving nivolumab alone, when compared to the placebo. Adverse event rates were 86% with nivolumab plus ipilimumab, 61% with nivolumab and 50% with the placebo. Rates of discontinuation due to toxicity were 31% with combination immunotherapy, 9% with nivolumab and less than 1% with the placebo. Treatment-related deaths occurred in seven patients on nivolumab plus ipilimumab as well as one patient in each of the nivolumab and placebo groups. One of the study’s authors, Taofeek Owonikoko of Emory University (GA, USA), stated that the results were “a big disappointment,”. “Although the progression-free survival results seem positive, the design of the study means they cannot be considered because the primary endpoint was negative. On top of that, there is concern about deaths and stopping treatment because of toxicity,” Garrido added. There are various challenges to overcome in translational research in SCLC and the end role of immune checkpoint inhibitors will largely be shaped by results of trials currently underway. “SCLC is a ‘recalcitrant’ disease and research in this field is particularly challenging, for several reasons, including the rapid pace at which the disease progresses and the limited availability of tissue,” noted Garrido. It is likely that improvements in predictive biomarkers will be important to allow for the identification of SCLC patients at an earlier stage and to determine which of those patients could benefit from treatment with immune checkpoint inhibitors. “The challenge will be how to select and identify those patients since patients who began maintenance therapy sooner after completion of chemotherapy did appear to derive greater benefit,” Owonikoko concluded.